As you have read in my previous post, I have had set backs in my fitness journey and I am starting to prepare for my come back. Well for the past few weeks, I decided to put my money where my mouth is. I began to go back to my clean eating, I started prepping my food again and I began going back to gym on a consistent basis. I also set a goal to lose 10 pounds by January 1st New Years day. Originally I set this goal because, my birthday is the first week of January and also because I thought it would be a good end to a year to which I devoted myself to fitness. I posted this goal to myself on Instagram and little to my surprise, as a result a few of my followers took this goal as well and made a challenge for themselves while challenging me to follow through. I find challenges quite refreshing and also a source of motivation. By changing my goal to a challenge, I felt like I added fuel to the fire. 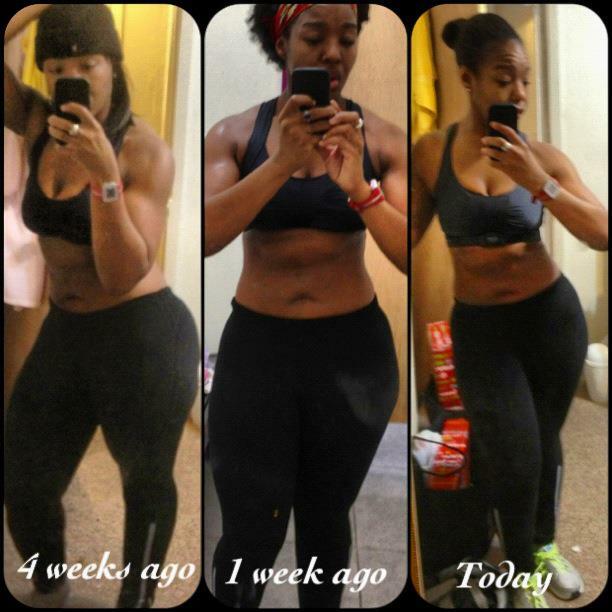 In response to this, I opened up this challenge in which I called: My 2013 Fit Challenge . As the month is moving on and coming to an end I realize that I wanted to extend and modify this challenge. The challenge was originally to lose 10 pounds by 2013 however I feel like in the heart of fitness the challenge should incorporate other aspects of fitness. As we all know weightlost is not the equivalent of fitness. Fitness is the incorporation of healthy living through eating, exercise and physical activities. The purpose of my posts is to help one another find our perfect fit. My fit may be losing 10 pounds but yours may be gaining 10 pounds of muscle mass, or maybe not even gaining or losing, but rather just maintaining a healthier diet. In light of the New Year I challenge MYSELF and YOU to set a fitness goal, one of your own choosing in which you will work on from now going into the new year. Along with this post I will post a progress photo as well as post my progress at the end of the year. I encourage and welcome you to share your goal progress as well. I know there is only a week left of the year but remember it is a goal to start and not the end of the finish line. Why wait for a new year to make a resolution? Let’s make a resolution for the end of this Old Year to start the New Year ahead of the game. So my question who wants to end this year with a bang? 2013 fitness challenge! !, You guys all ready know my goal, what’s yours? Click here for new posts straight to your inbox! Monkey See, Monkey Don’t : I Want Her Hair!